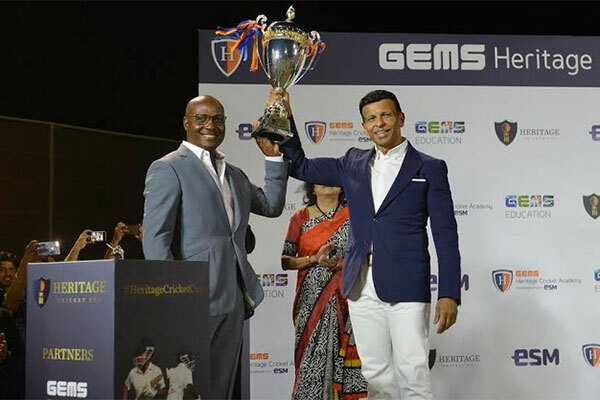 With West Indies cricketing legend Brian Lara as the guest of honour, the event was held on the grounds of GEMS Heritage Indian School and included a girls’ and boys’ T10 cricket match, a variety of cricketing activities, inspirational speeches and an official unveiling of the Heritage Plaque, marking the launch of not just the new academy, but also the Heritage Cricket Cup. Lara took to the crease at the start of the girls’ match and later tossed the coin for the boys’ game. Lara said: “I’m delighted to be a part of this great moment at GEMS Heritage Indian School. It was great talking to Sunny Varkey and understanding the school’s association with the tournament, along with the broader vision of promoting the best cricket experience in the UAE. The inaugural Heritage Cricket Cup features players from 21 schools from across the UAE, with a mix of the country’s top up-and-coming cricketers. The tournament aims to bring out the best in these rising stars, as the Heritage Cricket Cup provides important quality game time for young players to test and execute the skills they have learned and practised over the course of the season.